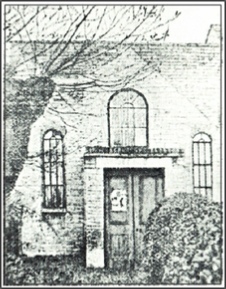 Both North Finchley Congregational Church and North Finchley Baptist Church can trace their roots back to what was known as the Cottagers' Chapel. 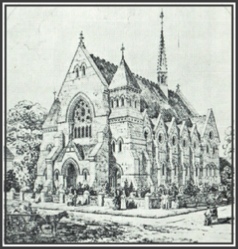 In the middle of the nineteenth century when both churches were formed, Finchley was made up of three separate villages - East End, Church End and North End. North End was the smallest of the three and was situated on what was then Finchley Common. The total population of Finchley was less than 5,000, of whom only about a thousand lived at North End. In 1850 the railway came to Colney Hatch (now New Southgate) and the population of the area grew. North End ( now North Finchley), which had had a population of only 1000, mainly agricultural workers, was changing. Finchley Common, to its east, had become enclosed and the fields of North End were beginning to be built on. Soon, in 1867, the Gt. Northern Railway would reach Finchley Church End. The first discussions about forming a Baptist church in North Finchley began in 1866 between Mr Edwin Smart and Mr Joseph Bruce. 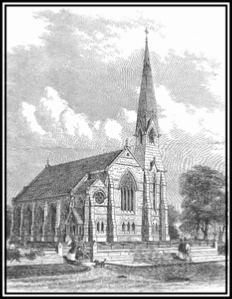 This was at a time when Revd Charles Haddon Spurgeon was actively involved in planting Baptist churches in and around the fast-expanding metropolitan area. One of his students, Mr William Clark, was sent to help with the formation of a new church. William Clark was to become the church's first pastor. 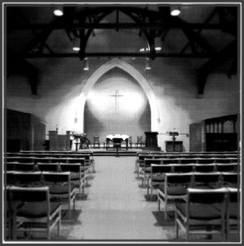 During the latter half of the 1970's the relationship between North Finchley United Reformed Church (formerly North Finchley Congregational Church) and North Finchley Baptist Church went from strength to strength.